Purely Inspired is committed to providing the highest quality supplements at an everyday affordable price. 95% Organic Ingredients - Made with naturally sourced ingredients‡ and formulated without the use of synthetic pesticides and fertilizers. Non-GMO - Formulated without genetically modified ingredients. Gluten Free - Our formula does not contain gluten ingredients. Vegan - Made with vegan-friendly ingredients. 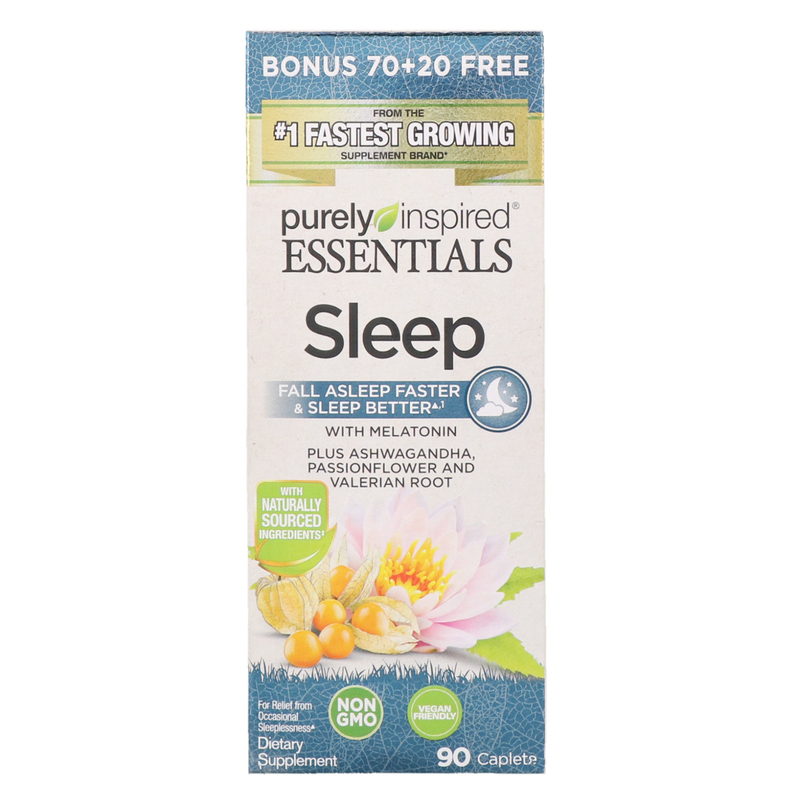 Purely Inspired Sleep is a unique formula that helps you fall asleep faster and sleep better so you can wake up refreshed.¹ Plus, it contains 95% organic ingredients and is non-GMO and gluten free. 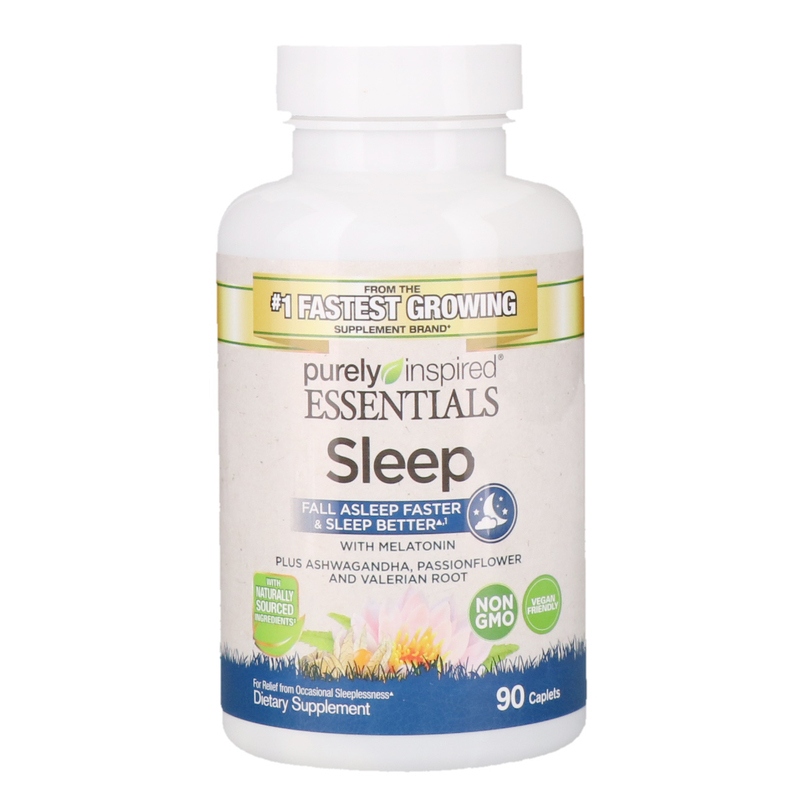 Delivers 5 mg of the key ingredient melatonin shown to support a restful sleep. ¹In a detailed analysis of multiple studies conducted by sleep researchers (where objective testing measures included polysomnography [PSG] and actigraphy), it was found that the primary ingredient (melatonin) in Purely Inspired Sleep significantly advanced sleep onset. ‡Naturally sourced ingredients: Ashwagandha, oat grass and holy basil. ♦Based on AC Nielsen data comparing unit and dollar sales percent growth vs. previous 52 weeks ending December 2,2017. Take 1 serving (1 caplet), at least 30 minutes before bedtime for relief from occasional sleeplessness. Not intended for use by those with medical conditions affecting sleep patterns. 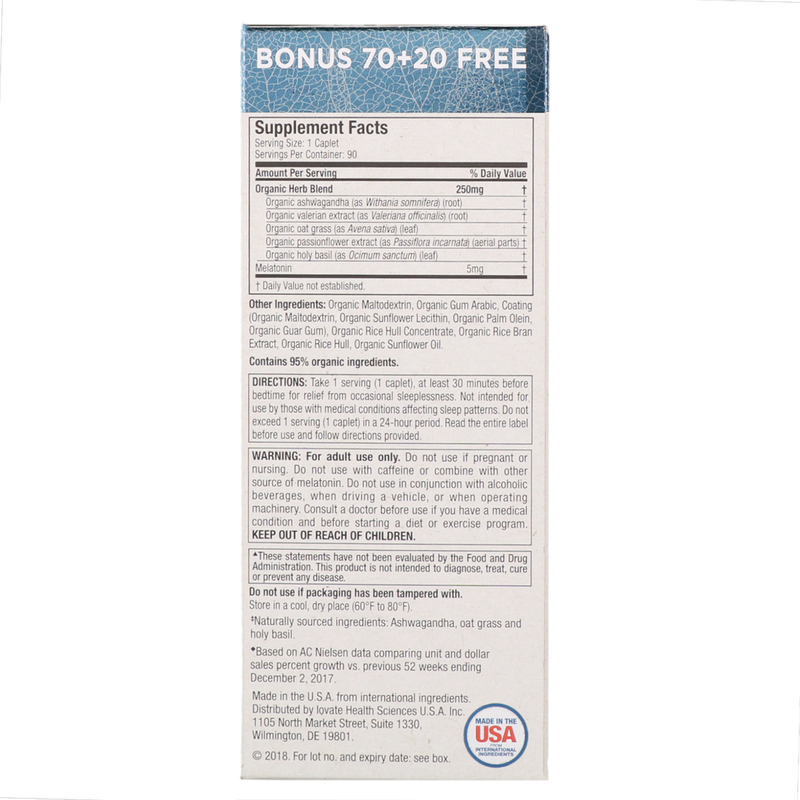 Do not exceed 1 serving (1 caplet) in a 24-hour period. Read the entire label before use and follow directions provided. Organic maltodextrin, organic gum arabic, coating (organic maltodextrin, organic sunflower lecithin, organic palm olein, organic guar gum, organic rice hull concentrate, organic rice bran extract, organic rice hull, organic sunflower oil. For adult use only. Do not use if pregnant or nursing. Do not use with caffeine or combine with other source of melatonin. Do not use in conjunction with alcoholic beverages, when driving a vehicle or when operating machinery. Consult a doctor before use if you have a medical condition and before starting a diet or exercise program. Keep out of reach of children. Store in a cool, dry place (60ºF to 80ºF).